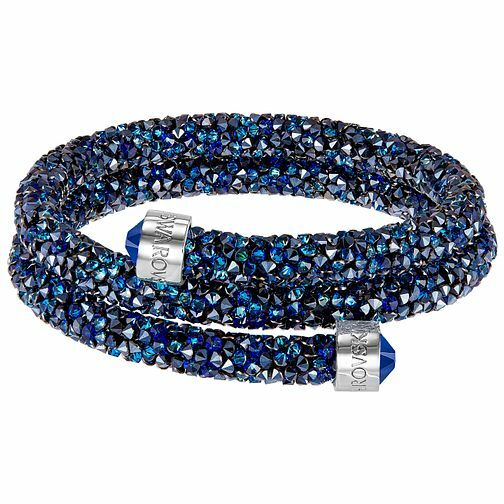 Swarovski Blue Crystal Dust Bangle is rated 5.0 out of 5 by 2. Rated 5 out of 5 by Anonymous from the best purchase ever I love my glittered Swarovski crystals bangle. It worth every cent I spend, and the service provided by Ernest Jones was amazing. I will definitely buy again with them. Rated 5 out of 5 by Anonymous from Swarovski's crystal dust Bracelet. Bought this for my girlfriend's Christmas. Her face was a picture when she opened it. Very happy with it.